Colouroku is sudoku with colors. Or numbers. Or both. 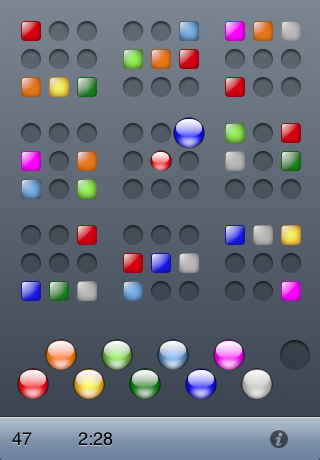 Seven levels of difficulty allow for games that last from 30 seconds to 30 minutes.